Mallorca is a colourful and cosmopolitan island. We have mentioned (maybe more than once… sorry!) how much there is here to do, to see and, of course, to eat. Today our ‘Palma guide’ post is all about food (which also happens to be one of our favourite subjects). 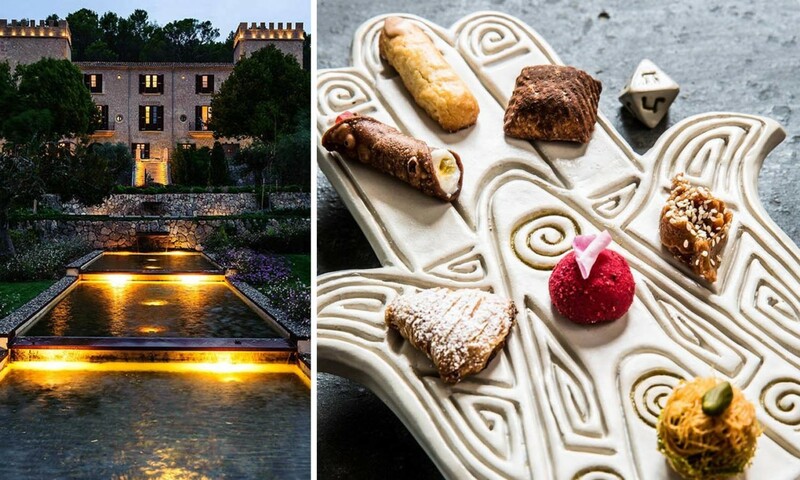 And not any kind of food, today we are focusing on Mallorca’s most high-end gastronomic hotspots. For quite some time now, the Mediterranean island of Mallorca has appeared on the European gastronomic radar, as there are tons of interesting restaurants stealing all the attention of foodies from all over the world. And when we talk about high-end gastronomy we inevitably talk about Michelin stars. 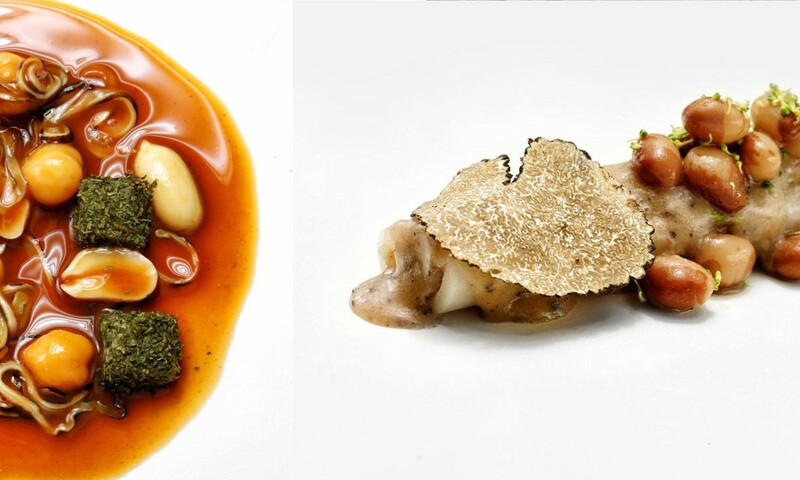 For 2018 the Michelin guide for Spain and Portugal awarded a total of 10 Michelin stars at nine different restaurants, so let’s check them out! 1. Zaranda by Fernando Pérez Arellano. Located in the 5-star hotel Castell Son Claret, Zaranda has been carrying its lucky star for three years now (2016, 2017 and 2018), as it has been awarded two Michelin stars (being the only double-Michelin-star restaurant in Mallorca!). At Zaranda it’s all about local product: it doesn’t matter if from the hotel’s vegetable gardens, the rest of Mallorca or the sea, but the use of local flavours and ingredients plays a leading role. 2. Adrián Quetglas. Near Nakar Hotel, on Paseo Mallorca in Palma, Adrián Quetglas has brought an interesting mix of flavours from place he has lived and visited to Mallorca. There is a little piece of Russia, a little bit of Argentina (where he was born) and also a lot of Mallorca (where his family is from and the island where he grew up). 3. Argos Restaurant by Álvaro Salazar. With a breath-taking scenario as backdrop, this restaurant is located in Port de Pollença inside the La Goleta de Mar Hotel. 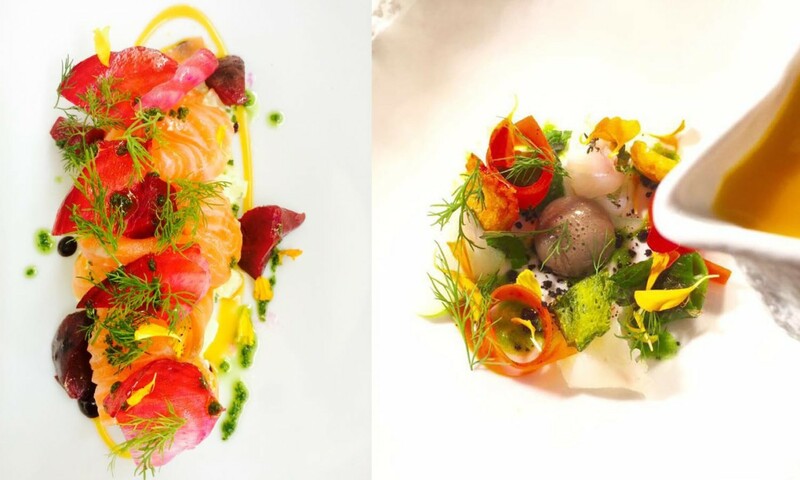 It offers highly innovative cuisine to enjoy á la cartè or tasting menus. Flavour and high quality! 4. Es Fum by José Miguel Navarro. Located on the ground floor of the 5-star St Regis Mardavall Resort in Costa d’en Blanes, ‘Es Fum’ serves dinner only. The tasting menu (there is no á la cartè- option) is changed according to seasonal products. 5. Andreu Genestra. ‘Cuina de la terra’, translating into ‘Cuisine from the land’ is the motto at the Andreu Genestra restaurant in Capdepera. You can see the Capdepera castle from the terrace, adding a very Majorcan feel to the dining experience. One thing we love about Andreu Genestra’s restaurant is that they grow organic vegetables, fruit, herbs, vines, olives and ‘xeixa’ wheat. Every dish is a new sensation! 6. Marc Fosh. 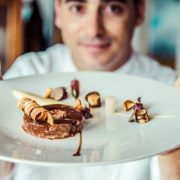 Marc Fosh is the first British chef in Spain to be awarded with a Michelin star. This modern restaurant is located in Carrer de la Missió, right in Palma’s centre, where you will be able to try seasonal and fresh gastronomic creations for lunch and dinner on a daily basis (except Sundays). 7. ‘Bou’ by Tomeu Caldentey. Located inside ‘Protur Sa Coma Playa Hotel & Spa’ in Sa Coma, Bou restaurant has a unique gastronomic concept to amaze guests with for lunch and dinner. Contemporary and yet very Majorcan dishes are Bou’s interpretation of trendy gastronomy and they totally hit the spot every time. 8. Es Racó d’es Teix by Josef Sauerschell. 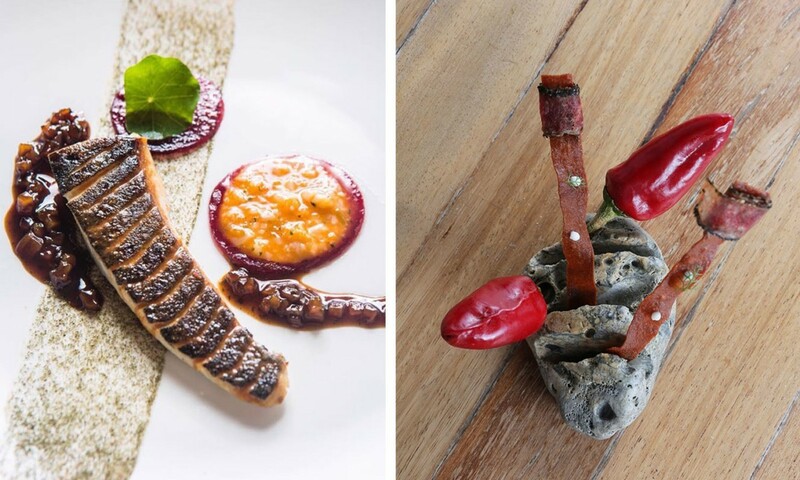 When trying the spectacular dishes at Es Racó d’es Teix in Deià you couldn’t probably guess that the chef behind them was originally from Germany. Traditional and local ingredients are carefully selected to combine on an authentic and innovative gastronomic experience. 9. Jardín by Maca de Castro. In Puerto de Alcudia is where you’ll find Jardín by the well-known Majorcan (and only woman on the Michelin-star-list) chef Macarena de Castro. Once you’ve been, you’ll recognize Maca’s signature on every dish. Her passion for fine local ingredients, Mediterranean fish, meat and vegetables of all colours and sizes define her unique and exquisite cooking style. If you ask us (maybe you don’t, but we still would love to say it out loud) Mallorca is moving very fast when it comes down to gastronomy and there are tons of new and exciting places opening their doors every day. 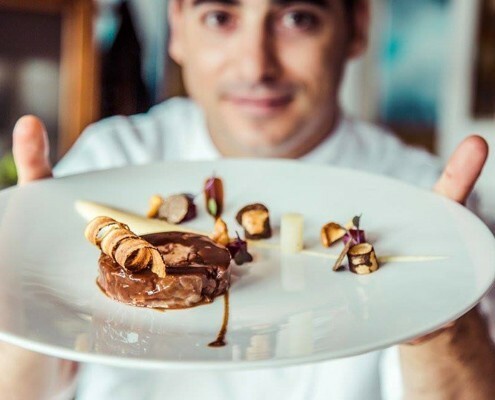 We are proud of the 10 Michelin-stars and their chefs and would really like to see more women (there are so, like really SO MANY, talented chefs in Mallorca!) on the list for 2019. Featured image: Es Fum Restaurant.